The international incident involving the capture of U.S. sailors by Iran was quickly put to rest. Ten U.S. serviceman were taking into custody by Iran’s Revolutionary Guards on January 12 after they strayed into Iranian waters. The men, onboard two small naval crafts, ended up in Iranian territory because of technical problems with their ships. Of course, the timing of the incident is crucial. 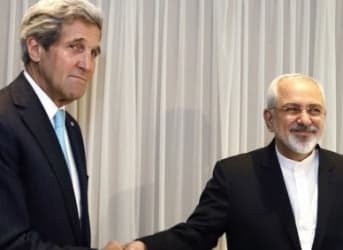 We are just days away from “Implementation Day” – the much-anticipated day that international sanctions are removed from Iran following the July 2015 nuclear agreement. Lifting sanctions will allow Iran to finally begin freely exporting oil, which could add to the current oversupply woes. Additional supply from Iran will weigh on crude oil prices, although the effect of Iran coming back to the market has likely already been taken into account by the markets to some degree. Iran has vowed to quickly ramp up exports by an additional 500,000 barrels per day.